When the local government of Summit, New Jersey, is hit with a string of arrests, Chief of Police Randy Disher finds himself acting as mayor. 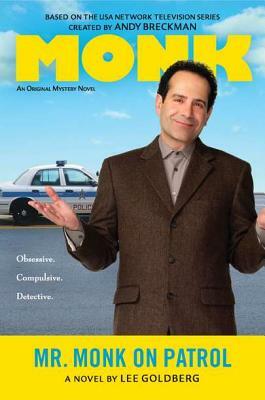 With a town to run and a series of robberies to investigate, he calls on Adrian Monk to serve as a temporary policeman. Lee Goldberg has written episodes for the Monk television series, as well as many other programs. He is a two-time Edgar Award nominee and the author of the acclaimed Diagnosis Murder novels, based on the TV series for which he was a writer and executive producer.